These modules are the ultimate product of efforts directed at housing railway rolling stock. The destination was not intended; but getting there was an interesting activity, involving conceptual design, computer coding, CAD, laser cutting, and practical wood construction. The results are very good, albeit a little costly. 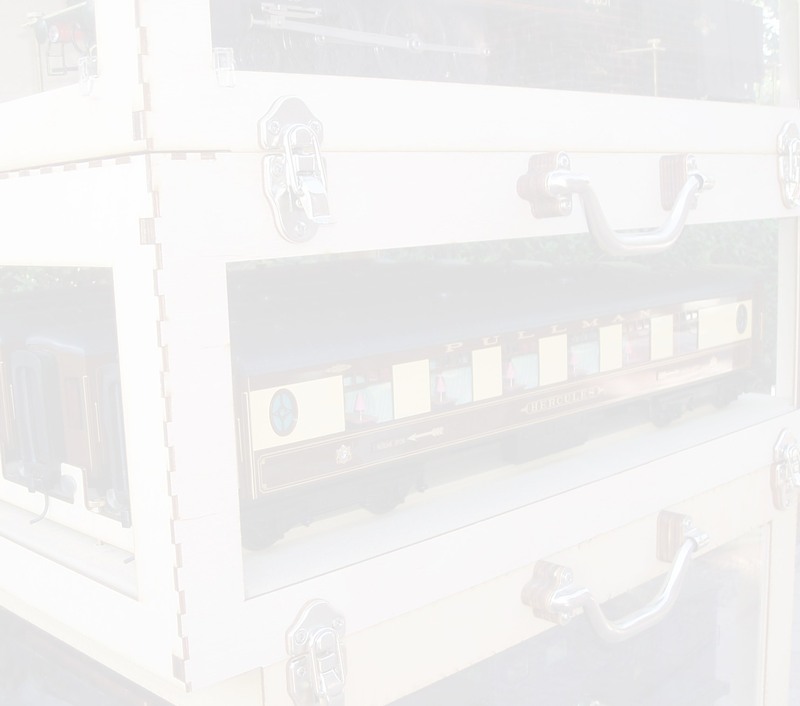 One can create a set of portable storage cases precisely designed to suit a specific application, which is not restricted to miniature railways. This gives understanding of what exists, how to use modules for oneself, and approximate prices. This is construction information and instructions, including how-it-has-been-done-before images.